Working with leading UK and International Auto-ID system providers. We believe in providing our customers with the highest quality in barcode, vision, 2d code, and RFID solutions. Providing applications advice demonstrations, installations, commissioning and data acquisition systems we can provide complete solutions. 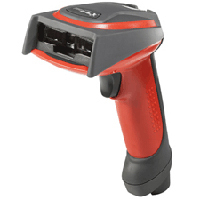 Superior Read Range - Imaging technology now extends the performance range out to 82 inches (208 cm) on linear codes. Embedded ID-NET™ high speed connectivity to simplify data collection and cluster wiring. Having the ability to distinguish between a no-read and a wrong-read to enable you to take different actions in some applications is vital. The validation system enables you to decide what action, ranging from latched error to automatic reject mechanism (no-reads only), should be taken when the system detects a no read or a wrong read. Advanced Validation Mode (wrong read and consecutive no read) using multiple signals. An action of your choice for wrong reads is activated and a separate action is activated on being unable to read a code at all. Data Matrix code is a two-dimensional matrix barcode consisting of black and white square modules arranged in either a square or rectangular pattern. The information to be encoded can be text or raw data. Usual data size is from a few bytes up to 2 kilobytes. The length of the encoded data depends on the symbol dimension used. Error correction codes are added to increase symbol strength: even if they are partially damaged, they can still be read. A Data Matrix symbol can store up to 2,335 alphanumeric characters. Data Matrix symbols are square and made of cells, that is little squares that represent bits. Depending on the situation a white module is a 0 and a black module is a 1, or vice versa. Every Data Matrix is composed of at least two finder patterns or handles and two syncs. Handles are two perpendicular lines, coloured the same way as 1 module, while syncs are like handles with the difference that they are made of alternating black and white modules. Handles achieve a good alignment with the symbol, while syncs sample modules correctly. If the matrix dimension grows, more syncs and handles are added up to 8 both horizontally and vertically. Symbol sizes vary from 8×8 to 144×144. 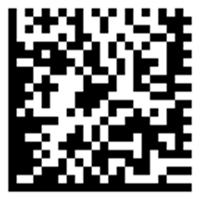 All common 1D or 2D codes can be read. Optimal price/power ratio, sturdy housing. 3 readings per second, evaluation of up to 256 grey values with adaptive grey value threshold. Keypad for entry of alphanumeric characters. 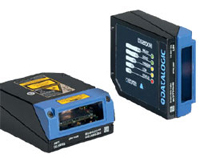 Readers for Data Matrix ECC 200 and pharma code. Radio Frequency Identification Systems (RFID) are the preferred way to solve automatic identification tasks in demanding industrial environments. This is possible because tags can be constructed to survive many chemical environments, including solvents, oils, acids and caustic solutions. Tags for high temperature applications are also available. RFID systems usually consist of a control interface, read/ write heads and tags (code/ data carriers). Read Only tags (code carriers) contain a unique unchangeable code typically 28 to 64 bits in length. This code is applied during the time of manufacturing. Read/ Write tags (Data carriers) offer user changeable memory that can be overwritten many times. Additionally, many Read/ Write tags also have a unique, unchangeable Read Only code allowing user applications to access data associated with a tag. The user changeable memory ranges from typically 1 kBit to 256 kBit allowing tags to operate as mobile data bases. Write–Once-Ready-Many (WORM) tags are user-settable Read Only tags. Once the user defined data is written to these tags, its memory is locked and can not be changed later. Read/ write heads can read both Read Only and Read/ Write tags. Reading or writing tags is triggered by sending a command to the IDENT Control interface, which in turn manages the data exchange with the Read/ Write heads. 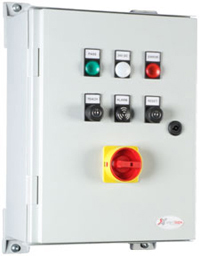 Up to four Read/ Write heads can be connected to an IDENT Control interface and all connected heads can simultaneously perform independent operations. FA45 CR. Reading of the most important bar codes. Data Matrix Codes with up to 52 modules. Square and rectangular codes. Robust reading on paper, metal, plastic, etc. Simple set up. FA45CO. Checks the presence of:- colour marks, coloured components, wire colours, active light sources and their colour, colours on labels, packaging, etc.. Up to 32 colours codable individually. One-for-all. A complete range of image elaboration tools to solve the most varied industrial vision applications, including measurement and inspection, object counting and positioning, code and character reading. PC configuration, stand-alone functioning: The Smart Camera configuration is carried-out using a PC, thanks to an immediate user graphic interface. As soon as the inspection parameters are set, the configuration can be saved on the SCS1, which is able to function without external control units. 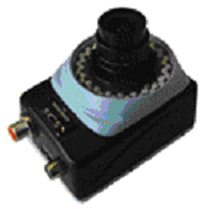 Connection: The Smart Camera is able to exchange information using digital outputs, Ethernet port and RS232/RS485 serial interface. 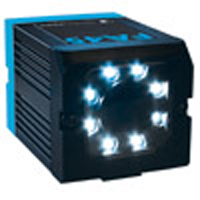 Accessories: different typologies of illuminators and lenses guarantee the flexibility necessary for the full adaptability to the different operating conditions, field of view, light conditions and fast-moving objects.